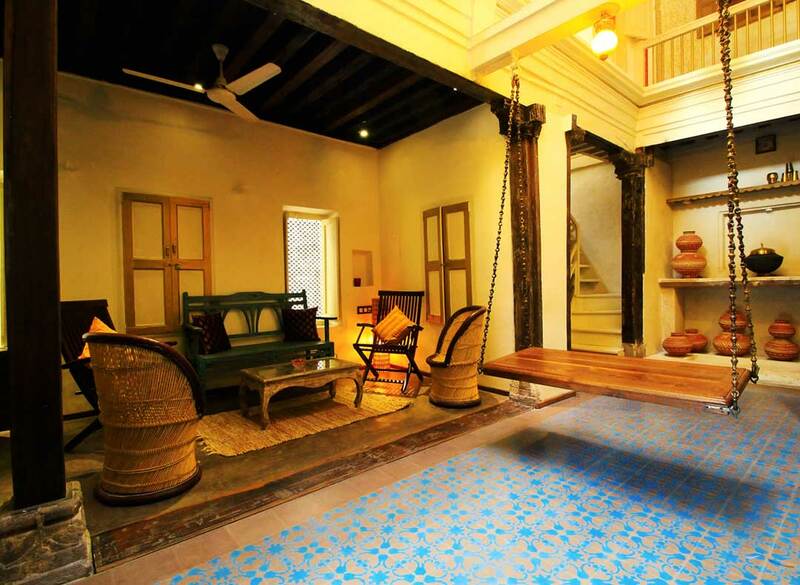 ‘The French Haveli’ is an 150 years old, artistically restored Gujarati heritage home. It is a thrill of drama and colours and homeliness. Maintaining its splendid traditional structure, the ‘Haveli’ offers a unique experience of living in the historic community called the ‘Pol’. Living in this house is to experience the Gujarati culture with comfort and luxury. The central court is open to view the sky, which gets in optimum air and light. This is generally the soul of all Havelis. The Jhula (traditionally a swing) is a place to relax and feel the calming effects of the home-like Haveli. 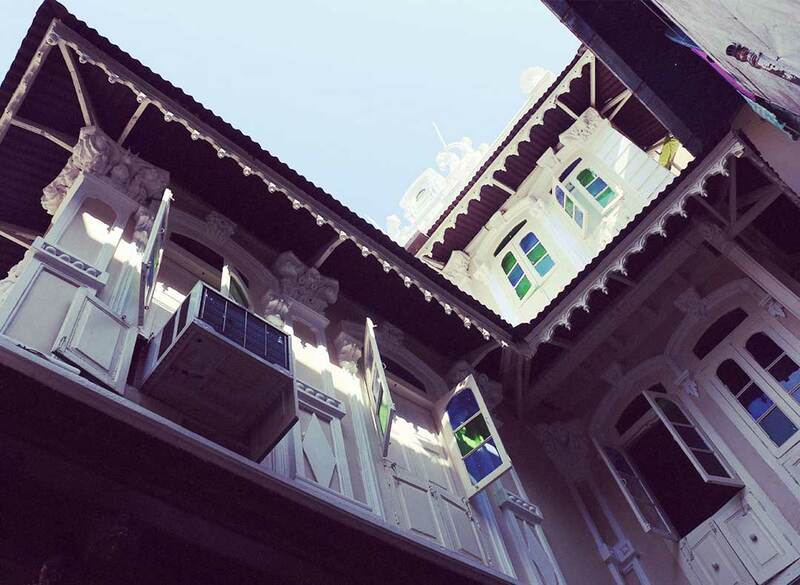 Staying in this house, you will experience privacy and yet be part of the central community space that this French Haveli overlooks upon. The community space has a Chabutra (the bird feeder), a 100 yrs old Jain temple. 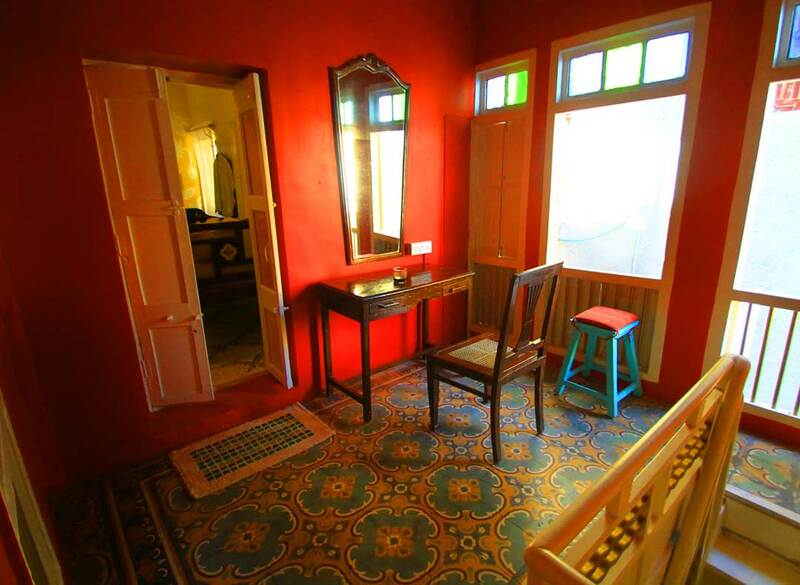 Each room at the French Haveli has its own individual charisma and can ultimately be the best choice for you or your group depending upon your needs. All rooms are air-conditioned. 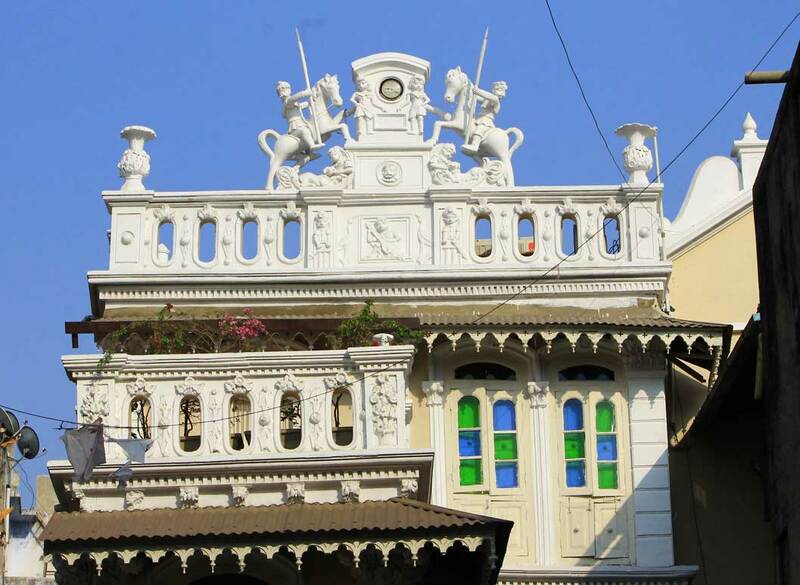 The ‘French Haveli’ is a Bed and Breakfast. They serve you a freshly cooked breakfast. The vegetables and ingredients are purchased from the nearby markets in the Historic City Centre, ‘Manek Chowk’. Walking towards the French Haveli from the main street is a remarkable transition from the traffic filled urban landscape to the very serene and historic area. You may be reminded of the proceedings of daily lives back in the ancient times as you pass through the clusters of rows of houses joined by labyrinthine streets to open again into sub lanes are called ‘Khadki’, and squares called ‘Chowks’. The name is derived to commemorate the first of its kind ‘Indo-French project’ in India to ‘revitalize the Old City of Ahmedabad’. 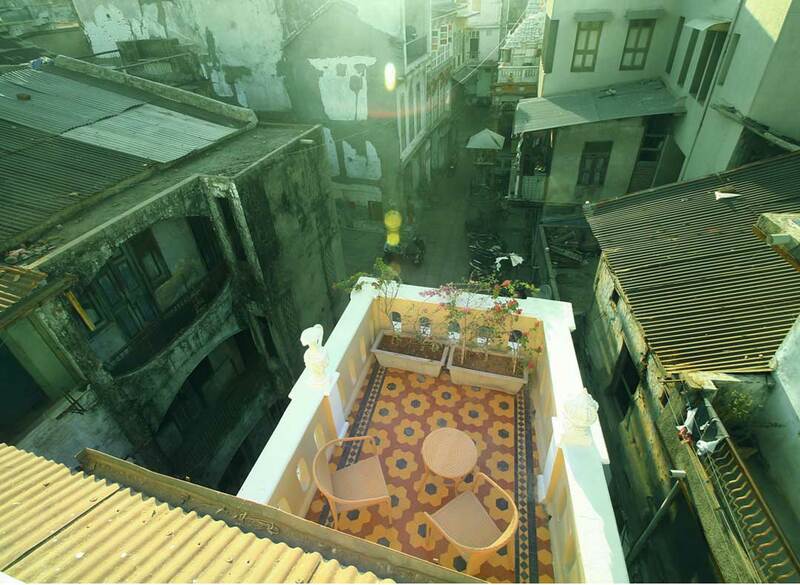 French architects restored this Haveli and lived here.